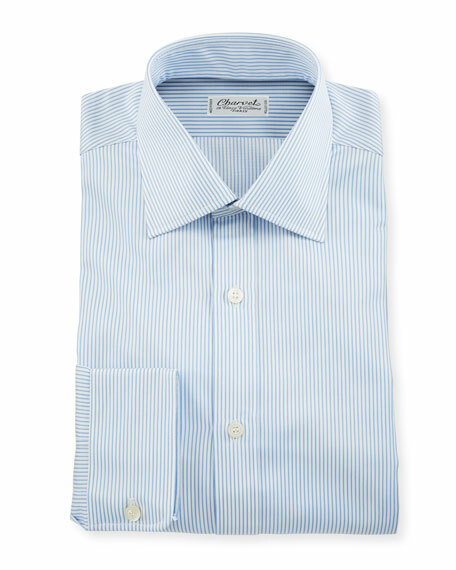 Charvet dress shirt in small stripes. Spread collar; mother of pearl button front. Charvet opened its first shirt emporium in Paris in 1838, and it quickly became the tailor of choice for French aristocrats. 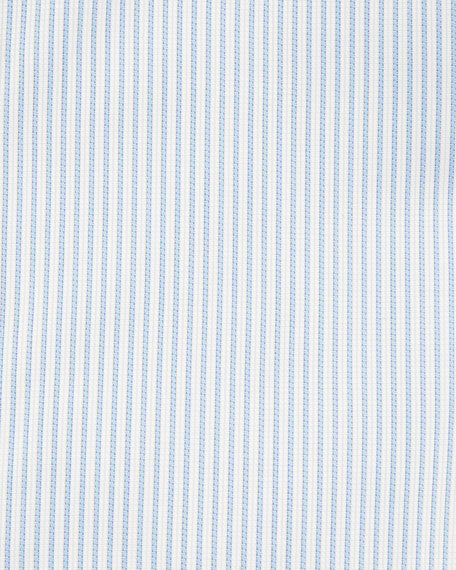 Today, Charvet is known for its full collection of shirts, ties, and pocket squares, and the line has earned international acclaim for its inherent quality, along with a superlative selection of styles and hues.